Sunday 31st June 2015 was the Official 24 Hours of LeMans test day, SportscarGlobal’s Editor & son were track side to see the cars hit the Sarthe circuit for the firs time this year. 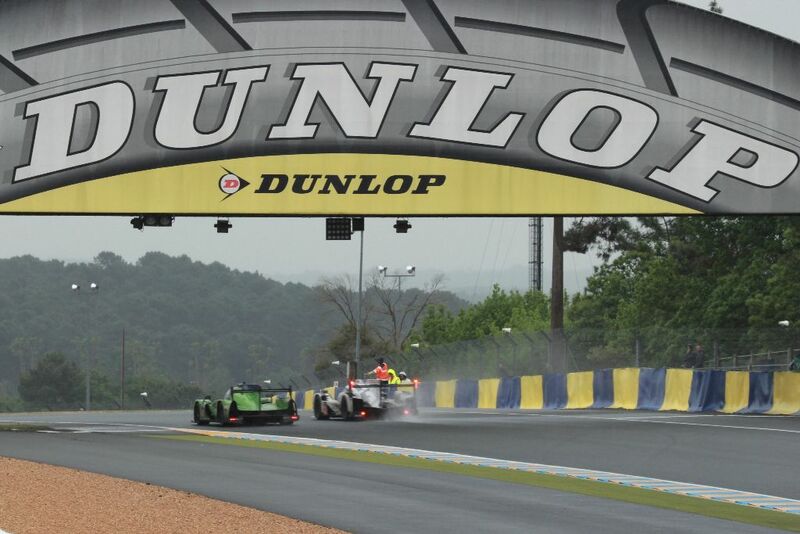 It was an exciting test session with a ‘typical Le Mans’ mix of weather which proved difficult for the teams, with the first session beginning dry before a few downpours and the second session being predominately wet, it would have given the engineers and drivers a work out with set-ups for both these scenarios which are an almost certainty for the race. 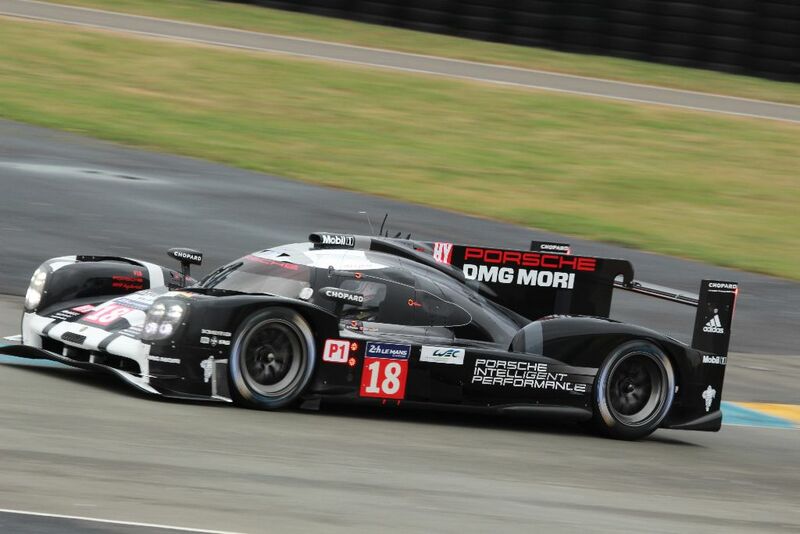 A short dry period at that start of the afternoon session proved ideal for Porsche’s Brendon Hartley who was able to top Neel Jani’s morning top time of 3:21.945 with a with cracking a 3:21.061s, which was 1/2 second quicker than last years quickest qualifying time of a 3:21:789 by the No.7 Toyota. 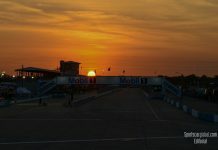 It is expected that the pole qualifying time for this year (if ideal conditions are to be had during the final qualifying session) with cars running in full qualifying specification will dip below the 3:18 mark. 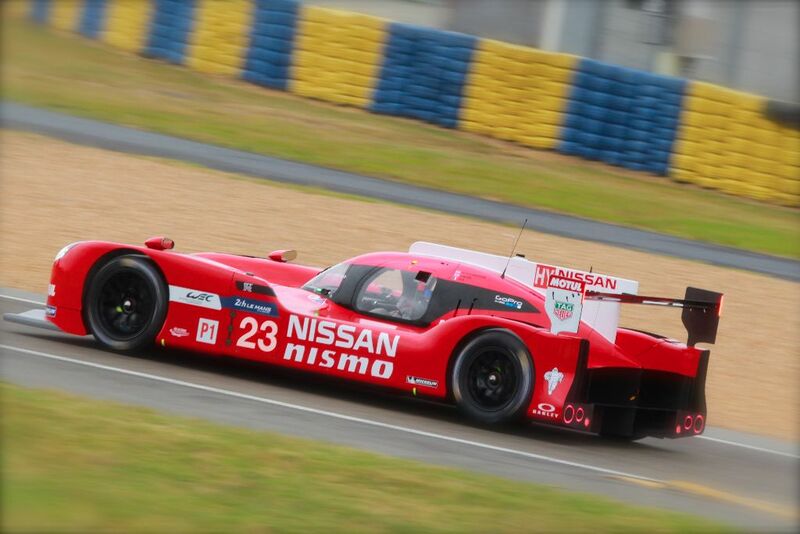 Nissan completed in both test sessions with its unique front wheel drive, front-engine take on the LMP1 design rules & regulations; it may not have been the quickest around the 8.47 mile circuit (running around 30s a lap slower than Hartley’s quickest time) but it was recorded as the quickest through the speed trap with Olivier Pla being registered at 336 kmh on the Mulsanne Straight in the No.23 car. This was just under 2mph quicker than the No.7 Audi R18 E-Tron Quattro driven by Andre Lotterer. Audi were doing what they do best, out running for the full duration of both test sessions, checking reliability and collecting data, they are also able to run a combined total of 288 laps between their cars over the 2 sessions with the quickest Audi being the No.9 R18 E-Tron Quattro driven by Marco Bonanomi who was able to register a time of 3:22.307 in the morning’s session. Current World Champions Toyota Gazoo Racing only managed to get 7th fastest time of the day, a 3:25.321 with its No.1 TS040 HYBRID which was set by Kazuku Nakajuma early on in the afternoon session. 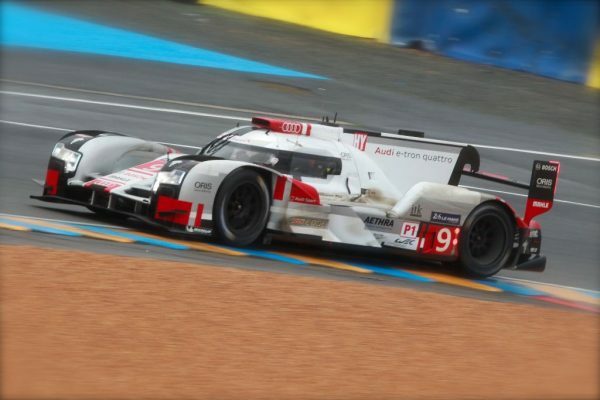 It is unsure whether the Toyota team are concentrating on preparing for Le Mans and are “sandbagging” or whether they really are struggling for pace much like they have for the opening two rounds of the FIAWEC season this year. 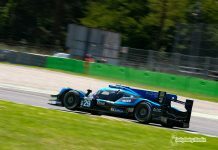 Elsewhere in the other classes Laurens Vanthoors’ morning session time of 3:41.919 in the No.34 OAK Racing Ligier remained as the fastest time of the day for the LMP2 runners, followed closely by the No.36 Signatech Alpine Nissan, which had a time of 3:42:273. 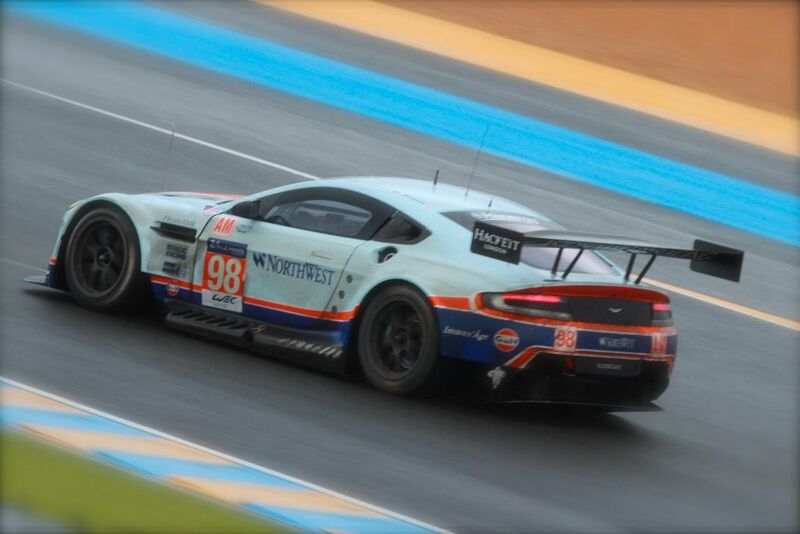 After spending the morning session at the bottom of the timing charts Aston Martin lead the way in the GTE-Pro & GTE-Am classes in the afternoon with Darren Turner taking the No.97 GTE-Pro Aston Martin around the circuit in just under 4 minutes (3:58.069) which was over a second faster than the No.64 Corvette, & No.71 AF Corse Ferrari in second and third, however its was no where near the times that were being put in by the GTE class cars last year. In GTE-Am Pedro Lamy managed to knock out a 3:59.069 which was over a second quicker than the AFCorse Ferrari that came second in on the time-sheets in GTE-AM, and over 2 seconds quicker than the No.86 Gulf Racing UK Porsche 911 RSR. 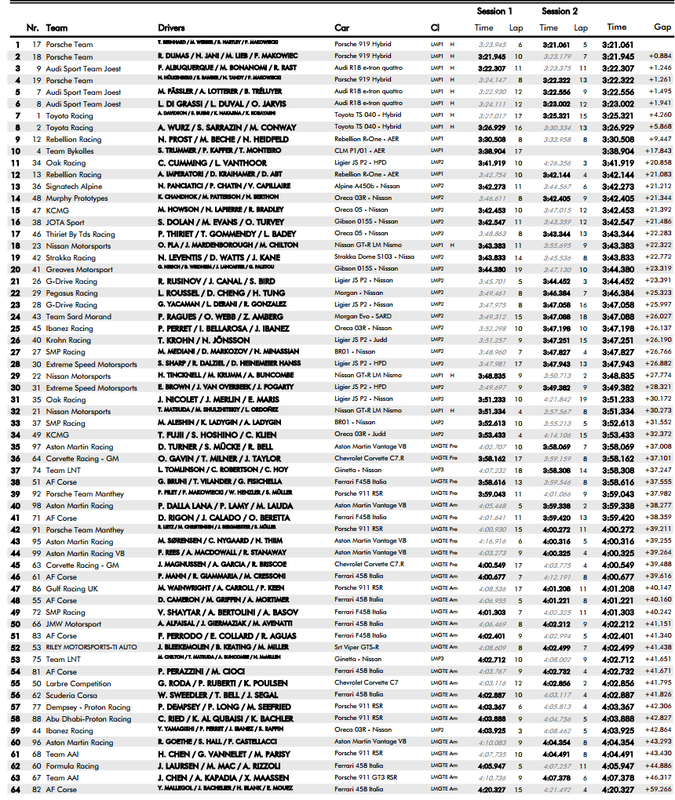 Here are the combined times for the morning & afternoon sessions.